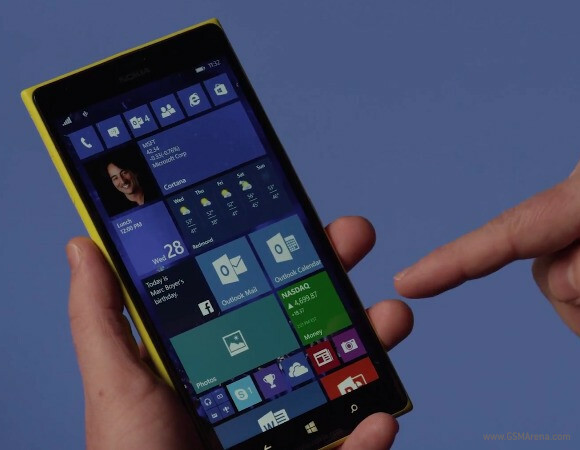 As leaked last week, the very first release of Windows 10 Technical Preview for phones is now out. You can download and install it on one of just six smartphones that are currently supported. Microsoft promises more handsets will be added to subsequent Preview builds in the future, but for now you can only proceed if you own a Lumia 630, Lumia 635, Lumia 636, Lumia 638, Lumia 730, or Lumia 830. The software giant also notes that this is a "very early" preview, which means many things may break or not work right from the start. Bugs are to be expected, and there's a very long list of known issues at the Source link. The user experience isn't polished yet, and you will see rough edges here and there. Microsoft says it's sharing it now for you to be able to give it feedback and help shape the final Windows 10 release for phones. As described in the presentation video above, the Windows 10 Technical Preview for phones comes with a small subset of the features that will be in the final build. The full-size background image for the Start screen is in, as are more quick actions in the Action Center, and interactive notifications. The speech-to-text ability of the OS has been improved significantly, and the more powerful Photos app will aggregate your local photos with those you have stored on OneDrive. For now, Cortana will be limited to the US and will only work with English, which is a step back from its functionality in the latest version of Windows Phone 8.1. That said, Microsoft promises that by the time Windows 10 is finished, its virtual assistant will be more capable than it ever was. Coming in future builds will be the Office universal apps, as well as the new Mail and Calendar apps and Skype integrated directly into Messaging. If you own one of the aforementioned supported devices and wish to take Windows 10 for phones for a spin, you need to first join the Windows Insider Program. Then you install the Windows Insider app, start it up, register your device, then check for updates. As work on Windows 10 for phones progresses, you'll get all the new builds, including the final one when that's out.